The Siege of Fort Wayne was fought September 5-12, 1812, during the War of 1812 (1812-1815). In the years after the American Revolution, the United States encountered increasing resistance from the Native American tribes in the Northwest Territory. These tensions initially manifested themselves in the Northwest Indian War which saw American troops badly defeated at the Wabash before Major General Anthony Wayne won a decisive victory at Fallen Timbers in 1794. As American settlers pushed west, Ohio entered the Union and the point of conflict began to shift to the Indiana Territory. Following the Treaty of Fort Wayne in 1809, which transferred title of 3,000,000 acres in present-day Indiana and Illinois from the Native Americans to the United States, the Shawnee leader Tecumseh began agitating the region's tribes to block the document's implementation. 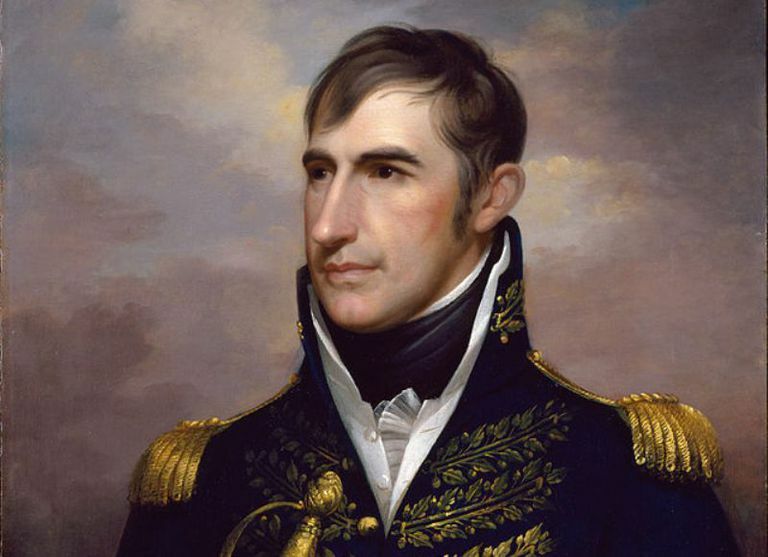 These efforts culminated with a military campaign which saw the territory's governor, William Henry Harrison, defeat the Native Americans at the Battle of Tippecanoe in 1811. With the beginning of the War of 1812 in June 1812, Native American forces began attacking American frontier installations in support of British efforts to the north. In July, Fort Michilimackinac fell and on August 15 the garrison of Fort Dearborn was massacred as it attempted to evacuate the post. The following day, Major General Isaac Brock compelled Brigadier General William Hull to surrender Detroit. To the southwest, the commander at Fort Wayne, Captain James Rhea, learned of Fort Dearborn's loss on August 26 when a survivor of the massacre, Corporal Walter Jordan, arrived. Though a significant outpost, Fort Wayne's fortifications has been allowed to deteriorate during Rhea's command. Two days after Jordan's arrival, a local trader, Stephen Johnston, was killed near the fort. Worried about the situation, efforts began to evacuate women and children east to Ohio under the guidance of Shawnee scout Captain Logan. As September commenced, a large number of Miamis and Potawatomis began arriving at Fort Wayne under the leadership of Chiefs Winamac and Five Medals. Concerned about this development, Rhea requested aid from Ohio Governor Return Meigs and Indian Agent John Johnston. Increasingly unable to cope with the situation, Rhea began drinking heavily. In this state, he met with the two chiefs on September 4 and was informed that other frontier posts had fallen and the Fort Wayne would be next. The next morning, Winamac and Five Medals initiated hostilities when their warriors attacked two of Rhea's men. This was followed by an assault on the east side of the fort. Though this was repulsed, the Native Americans began burning the adjacent village and constructed two wooden cannon in an effort to trick the defenders into believing they had artillery. Stilling drinking, Rhea retired to his quarters claiming illness. As a result, the defense of the fort fell to Indian Agent Benjamin Stickney and Lieutenants Daniel Curtis and Philip Ostander. That evening, Winamac approached the fort and was admitted to parley. During the meeting he drew a knife with the intention of killing Stickney. Prevented from doing so, he was expelled from the fort. Around 8:00 PM, the Native Americans renewed their efforts against Fort Wayne's walls. Fighting continued through the night with the Native Americans making unsuccessful efforts to set the fort's walls on fire. Around 3:00 PM the next day, Winamac and Five Medals briefly withdrew. The pause proved brief and new attacks commenced after dark. Having learned of the defeats along the frontier, the Governor of Kentucky, Charles Scott, appointed Harrison a major general in the state militia and directed him to take men to reinforce Fort Wayne. This action was taken despite the fact that Brigadier General James Winchester, commander of the Army of the Northwest, technically was in charge of military efforts in the region. Dispatching a letter of apology to Secretary of War William Eustis, Harrison began moving north with around 2,200 men. Advancing, Harrison learned that fighting at Fort Wayne had begun and dispatched a scouting party led by William Oliver and Captain Logan to assess the situation. Racing through the Native American lines, they reached the fort and informed the defenders that help was coming. After meeting with Stickney and the lieutenants, they escaped and reported back to Harrison. Though pleased that the fort was holding, Harrison grew concerned when he received reports that Tecumseh was leading a mixed force of over 500 Native American and British troops towards Fort Wayne. Driving his men forward, he reached the St. Marys River on September 8 where he was reinforced by 800 militiamen from Ohio. With Harrison approaching, Winamac mounted a final assault against the fort on September 11. Taking heavy losses, he broke off the attack the next day and directed his warriors to retreat back across the Maumee River. Pushing on, Harrison reached the fort later in the day and relieved the garrison. Taking control, Harrison arrested Rhea and placed Ostander in command of the fort. Two days later, he began directing elements of his command to conduct punitive raids against Native American villages in the region. Operating from Fort Wayne, troops burned Forks of the Wabash as well as Five Medals Village. Shortly thereafter, Winchester arrived at Fort Wayne and relieved Harrison. This situation was quickly reversed on September 17 when Harrison was appointed a major general in the US Army and given command of the Army of the Northwest. Harrison would remain in this post for much of the war and would later win a decisive victory at the Battle of the Thames in October 1813. The successful defense of Fort Wayne, as well as the triumph at the Battle of Fort Harrison to the southwest, halted the string of British and Native American victories on the frontier. Defeated at the two forts, the Native Americans reduced their attacks on settlers in the region.